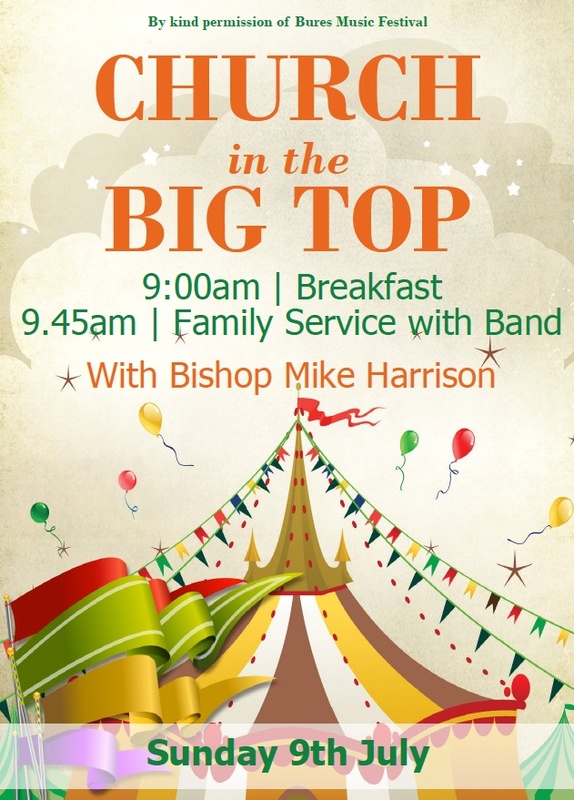 St Mary’s and Bures Baptist churches invite you to join in a service of worship and celebration with guest speaker Bishop Mike Harrison on Sunday 9th July in the Music Festival Big Top (please note there will not be an 8am service at St Mary’s on that day). The service commences at 9:45am and breakfast will be available from 9:00am. The Music Festival Committee will not be providing seating this year. We will have a limited number of seats but please bring your own if you would like to sit down.